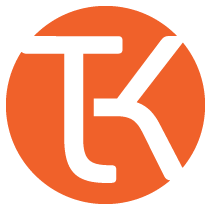 eLearning Developer at ThinkingKap Learning Solutions, Inc.
View all jobs at ThinkingKap Learning Solutions, Inc.
At ThinkingKap, our primary focus is taking mundane content topics and creating compelling learning experiences for our clients. This requires creativity to execute creative solutions efficiently and within the functional parameters of the eLearning development tools. The eLearning Developer will be expected to work within ThinkingKap's established project process, collaborate with Instructional Designers and other team members, develop "clean" and error-free courses, and meet all project deliverables. We're continuing to grow, and as such, we are looking to add a professional eLearning Developer to design and develop these compelling learning experiences. This role is a full time contract position (1099), with the possibility of transitioning into a permanent full time role with ThinkingKap. This position requires a bachelor's degree in Instructional Design, Training and Development, or related field, or an equivalent combination of technical certifications/experience.